International interest is on the rise in a new online spiritual direction, supervision, counselling and retreat service. “We’re delighted to offer spiritual direction, supervision, counselling and the possibility of making a retreat online which is confidential and private,” says Marist Father, Stephen Truscott SM, a director of the Fullness of Life Centre in Perth. The trans-Tasman project, called “There’s a Time”, takes its foundation from Ecclesiastes 3. “There’s a Time when we can all benefit from talking things over with someone, and occasionally, There’s a Time when conversations are best had with a professional,” says Stephen Truscott. Stephen Truscott says at one point spiritual directors used the technology of pen, paper and transported letters via international postal services. Now there’s a global transportation opportunity for clients and service providers to meet via secure video. “There’s a Time is a response to Pope Francis’ invitation to use technology to reach out”, he says. The service, open to spiritual directors, supervisors, counsellors and those who deliver retreats, (service providers), has the welfare of all as its focus, he says. As a ‘startup project’, he is happy to say that interest is mounting. A priest with little marketing experience, Stephen Truscott says the project is growing organically; mainly by word of mouth. Stephen Truscott has identified initial Australian interest coming from a spiritual director training establishment, a religious organisation, and several counselling providers. He is particularly pleased with the international support for the service. “20 or so people from New Zealand indicated interest at a recent spiritual directors conference and others are using it in international settings”, he says. Expanding the idea, Stephen Truscott says the service opens up international opportunities for both service providers and clients. “The point of difference with this solution is that it’s secure, easy to use and it actually works”, says Stephen Truscott. “Popular free solutions are anything but secure and private, and most of the time they’re quite unreliable”. “There’s also no such thing as ‘free’ on the Internet. By using a HIPAA certified, sometimes described as ‘medical’ or ‘military’ grade solution, Stephen Truscott confidently says it is possible to bring people together, in a secure environment, from just about anywhere in the world. As well as exceptional security and great video service, Stephen Truscott identifies other positives such as eliminating travel time, use of a vehicle, parking fees and public transport. Convenience and choice aside he says, “It’s so good it’s just like being there”. Until March 2018 costs of using the service are covered by the Fullness of Life Centre. People wanting to use the service are welcome to contact the Centre. Aware of the struggle people with disabilities, those in rural and outback areas in Australia and their inability to easily access spiritual direction, professional supervision and counselling, Stephen Truscott teamed up with Fr John Murphy of the New Zealand Marist Internet Project, to help find a solution. A local problem quickly became a global solution and for the past eighteen months or so, in between their other ministries, they tested the technology to develop the project. Stephen Truscott says the trans-Tasman team bringing the project together has tested more than 30 video conference solutions in 10 countries. In addition to Stephen Truscott and John Murphy, their meetings periodically include a Sydney lawyer, Bangkok Web developer, and Auckland fund-raiser. “When the George Street, Sydney lawyer asked permission to take our idea to his partners, I took it as a pretty good sign”, Stephen Truscott said, with a smile. The Bangkok developer also ‘picked our brains’ and is now using the solution to communicate with his clients all around the world. Stephen Truscott says that without the Internet some people’s pressing needs will go unaddressed. “Who would have thought that in the Seminary I’d be part of an international group starting a global spiritual direction, supervision and counselling service? “The Marist missionary spirit in the first world is alive and well”, he said. Describing the journey as “sometimes staring at several brick walls, but thankfully not all at once”, he says the rollercoaster ride is “exciting”. Stephen Truscott admits the business plan changed several times. With a preference for those people, who for one reason or another, are unable to meet face-to-face with a service provider, Stephen Truscott expressed surprise that organisations whom he thought might support the outreach to the disadvantaged, turned down the approach for funding! He says his reading tells him there are two main reasons why startups fail: no seed money and no marketing plan. We have a marketing plan and are now following positive funding leads, he says. Stephen Truscott says he is particularly grateful to Knights of the Southern Cross in Australia for some seed funding for the project, and to local business people in Perth who bring a wealth of real-world business experience and who are willing to volunteer as the project’s directors. The service, complete with screen sharing and whiteboard can also be used for example, for meetings, education, seminars, broadcasting guest speakers etc. The cost of using the service is covered by the Fullness of Life Centre until the end of March 2018. People wanting to try it are welcome to get in touch. Tom O’Connor, Ezio Blasoni, and Bill Archer. In the first week of November Pā Maria hosted a number of Marists from around the country for a guided retreat entitled “Chosen From the Beginning”. Incorporating Scripture, the Constitutions, writings from Pope Francis and Marist scholars the material presented each morning focused on key Marist themes. In addition, the participants watched together a daily movie as a means of aiding their awareness as to what they found personally both life-giving and life-taking when reflecting on each theme. 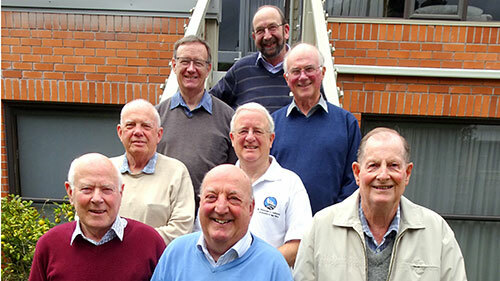 Led by Brian Cummings and Kevin Head, the retreat aimed to offer “a new way of praying with familiar truths” – based on the very positive written evaluations of those who take part, this aim was achieved. On the occasion of the Wellington launch of Craig Larkin’s An Inner Music, Sr Stephanie Kitching rsm spoke of her experience of the book. She spoke to those assembled for the Wellington launch of An Inner Music and told of she found it both a comfort and challenge. Tena koutou katoa. It is special to be here tonight. I have known Craig Larkin since he was a secondary school student appearing in a lead role in the Mikado, a Gilbert and Sullivan musical being mounted at St Pat’s College by Fr Gerard Mills. My mother was one of the seamstresses and wardrobe mistresses so Craig would be at our home with other students and clergy. Sunday nights were always exciting….Enough…. This book, An Inner Music: Living a Life in God, sits both comfortably and challengingly. The physical feel of the cover and the easy lie of the pages make it an easy read. The layout of each chapter in clearly defined sections with the benefit of a very readable type face and spacing between the lines is reader friendly. The language used and the writing style make it seem as though we are sitting with Craig and he is sharing with us in the moment. There are minimal illustrations used but these, along with the illuminated capitals at the beginning of each section fit the topic of the book. The choice of mystics…female and male, religious and lay provides variation. There are not as many female as male but this is more a sign of the times. I note that Craig tells us that Julian of Norwich in the 14th century was the first woman to write in English. Some of the mystics are familiar, eg, Hildegard of Bingen. Others are not so, eg, Jean-Joseph Surin whom I really enjoyed discovering. As Craig writes… he showed us God acts in the cracks of human life! And Surin loved music, both the inner and outward kind. The approach in each chapter draws the reader in. First we hear about the person of the mystic, then about their spirituality and writings. This is followed by a small section of writing of that mystic which acts as a snapshot for the reader. Then the challenge is thrown down…how does this interact with the reader’s life journey in God? Craig pulls together all his life’s study and reflection and prayer in this section, leading us form the human to the divine and back again. I am sure readers will discover their own gems. There will be something for everyone. One example is Carryl Houselander – an old friend from the mid 80s when I read The Reed of God – a series of meditations on the life of Mary. Yes 30 years on, Craig provided me with yet another insight though his unpacking of this 20th century woman’s life and spirituality; it is in the connection between daily living and spirituality that we discover God. This volume depths my understanding of the mystics and what makes them tick; and maybe I might find that the same thing makes me tick…what then? I see the message of the book as: Am I ready to be caught by God? And, am I prepared to live from the inside out, rather than the outside in? These are big questions for any of us, ones I find quite confronting at this stage of my life. I can see myself in the coming months both renewing my acquaintance with mystics I have met before, and discovering new treasures in other mystics enclosed in the pages of this book which is written by one who in his own way, through failures, successes, joys, sorrows, plain sailing and trials was a mystic too. Craig Larkin died disappointed that religion left people fearing God. He made the comments in the introduction to his new book, An Inner Music, launched posthumously last evening in Wellington. “After living all my life as a professional Christian, my single and greatest disappointment with religion is that it has succeeded in making too many people afraid of God. “I have spent hours teaching, counselling, listening to and comforting people. Too many of them find their troubles rooted in fear of God,” he wrote in the introduction to “An Inner Music”. Craig Larkin observes that these are people who function well in a life full of responsibilities, but who in their relationship with God are crippled with scruples and fears. “They are trapped in the externals of their faith”, and while “they suspect that these externals don’t work any more, they are afraid of breaking free of them in case some disaster might over take them”. Craig Larkin reflected that he met ministers of religion who had become “functionaries of a religion”; binding them rather than setting them free. “They are faithful gatekeepers of the church they serve, but they have not journeyed beyond the gate”, he comments. By contrast, Craig Larkin writes thankfully that there are countless others who have a dramatically contrasting experience of God. He writes that “an inward music” is something each of us wants to hear and sing. whose lives have been a song. To tell a life story he cleverly uses images; images chosen by holy men and women such as “The hidden spring”, “The unruffled sea”, “The fall in the ditch” and the “The soaring bird”. Craig Larkin says that “Together (all the) images sum up or express almost everything I know or have experienced of the spiritual journey”. He furthers the comment maintaining that taken individually, each image stands as a sort of landmark for anyone embarking on their own inner journey and that An Inner Music is a series of down-to-earth reflections on how the insights of the spiritual masters can relate to and transform our own lives. Provincial of the Society of Mary in New Zealand, Fr David Kennerley, describes An Inner Music as a “beautiful book”. “In true Craig Larkin style, readers will find the book very accessible,” he says. Available from the Society of Mary copies cost $45 incl GST, post and packaging. Please send payment with your order. Craig Larkin was a former Provincial of the Society of Mary in New Zealand, Vicar General of the Society of Mary, an author, Marist novice-master and a popular lecturer in spiritual theology for many years. He was very involved in formation programmes in New Zealand and internationally. 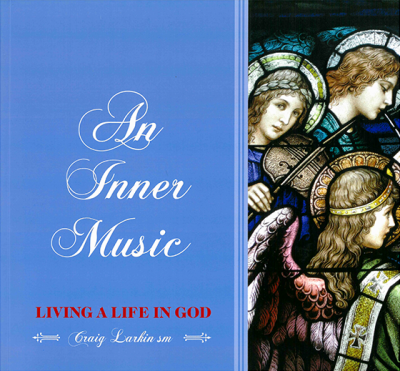 An Inner Music is one of several books Craig Larkin was working on when he died in June 2015. The Pa Maria Winter Film Series is running again in 2016. Interest in the 2016 series follows the heavy demand in 2015; the inaugural year. The 2016 theme looks at the stories of our personal lives. Pa Maria Director, Fr Brian Cummings, says this year’s series will focus on stories that shape our lives, our responses to life and our expectations about life. “They come from our own experience, from our families from society and time we live in. “The stories also come from the way God sees, knows and loves us”, he said. He says the stories of our lives are supported and reinforced by God’s story for us, however he points out that sometimes the stories conflict. “By reflecting on these stories we come to a deeper understanding of ourselves and of how God is with us throughout our life’s journey”, says Brian Cummings. Only a few places remain in the 2016 August series; the 2016 July series is fully booked. reflection material for personal use over the coming week. Dates for the Pa Maria Winter Film series are: August 15, 22, 29, September 5 and 12. The Venue is Pa Maria Marist Spirituality Centre, 78 Hobson Street, Thorndon, Wellington. There is no charge for attending, although Koha is accepted. Demand has been swift for the 2015 Winter Film Series on Ignatian discernment at Pa Maria. 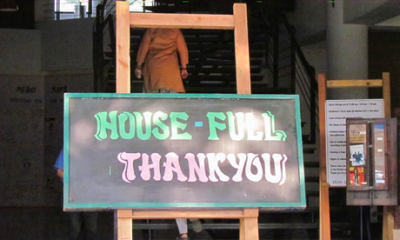 All sessions now fully subscribed the “house full” sign is up nearly three weeks before the first night. Commenting on people’s response Pa Maria director, Fr Brian Cummings SM is very pleased. “It’s very promising; we even have a waiting list”. Starting June 26, the 2015 Pa Maria Winter Film Series is using film to focus on the questions and dynamics that surround making decisions and choices. For those still interested, Pa Maria is looking at repeating the series later in the year. More information is available from Fr Brian Cummings, phone 04 472 2734. From Monday 13 July – Friday 17 July, Pa Maria is offering a guided 5 day non-residential retreat entitled “Seen through the eyes of mercy”. The retreat inspired by Pope Francis, makes use of Pope’s comments and writing on mercy, along with the Holy Father’s favourite movie and artwork. Once again, more information is available from Fr Brian Cummings, phone 04 472 2734.